Tiger is the king in mountains. Chinese people believe that they have the function of dispelling disasters and evil, and protecting their residences, and they also symbolize courage and power. 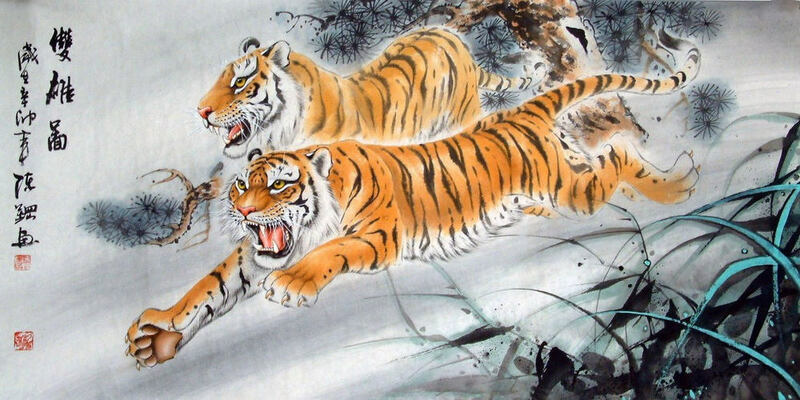 Chinese Tiger Painting in twelve Chinese zodiac: represents auspiciousness, power and high position. White Tiger Painting: one of the Four Legendary Beasts in ancient China. It is often mentioned with the green dragon. 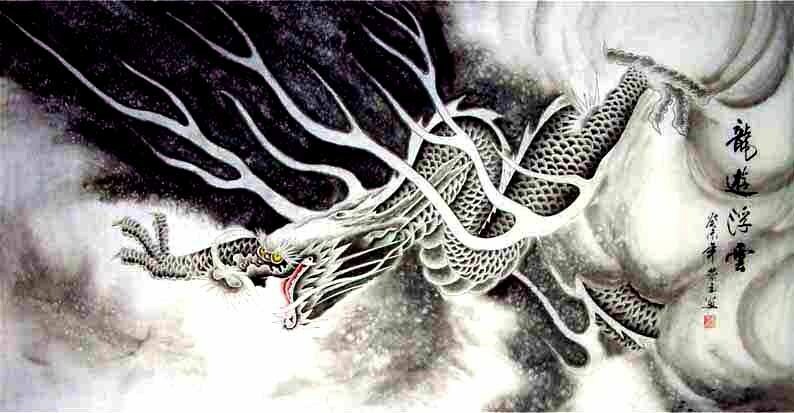 The combination image of "a dragon with clouds and a tiger with winds" is the best partner to subdue ghosts. In Chinese ancient culture, white tiger has the function of warding off evil, dispelling disasters, praying for good harvest, punishing evil and promoting good, making great fortunes and having a perfect marriage etc. Painting of Golden Dragon or Green Dragon: drawing normally surrounded by auspicious clouds. It represents for good luck or splendid prospects. Treasure Bowl, Coin-producing Tree and Tiger Fengshui Painting: symbolizes the wealth brought by the tiger. The first reason is tiger is full of power and only a powerful body can making great fortune; The second is because tiger can defend the fortune from losing, so this combination is very auspicious. 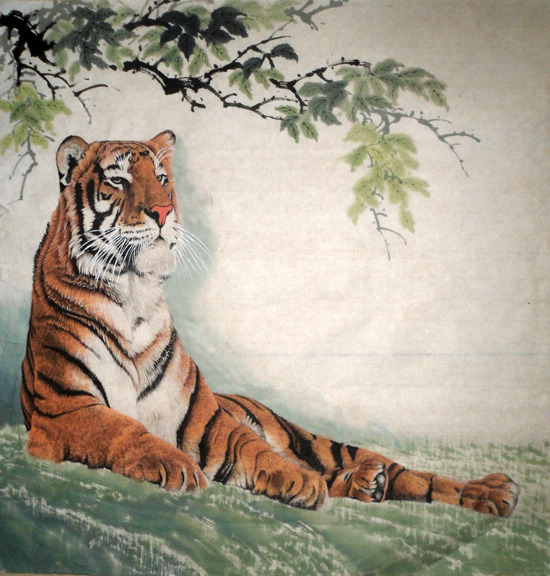 Pine Trees and A Tiger Feng Shui Painting: this combination Chinese painting is call "wei zhen shan lin(威震山林)". It symbolizes the tiger's power and authority in the forest, and the tiger is the legendary beast having the function of protecting the residences. 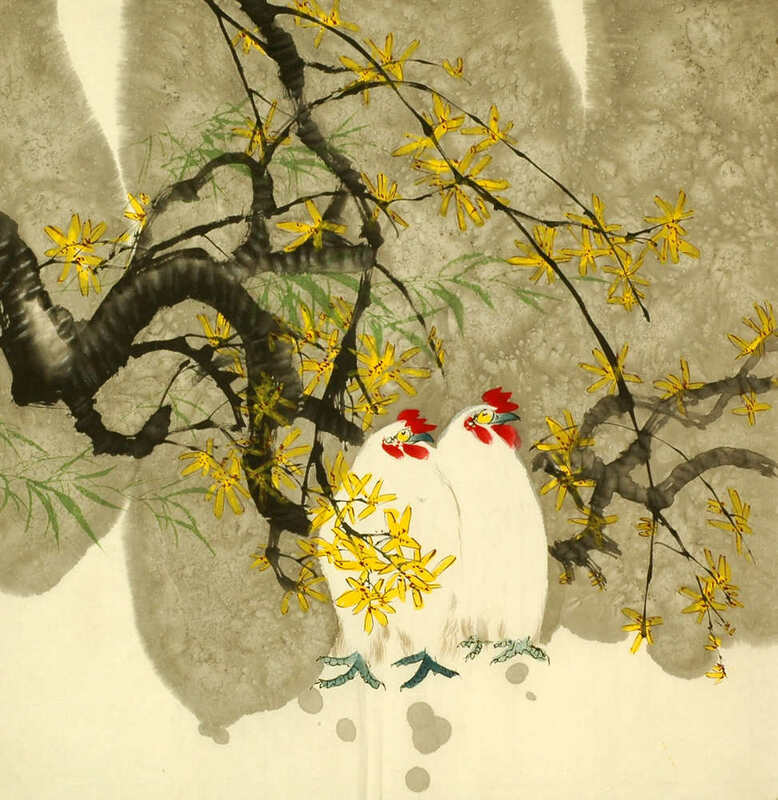 The chicken has been the symbol of valiancy in Chinese paintings since ancient times for it eats five poisonous creatures: ..
Shrimp live in both fresh water and salt water. Shrimp is one of delicious food all over the world. 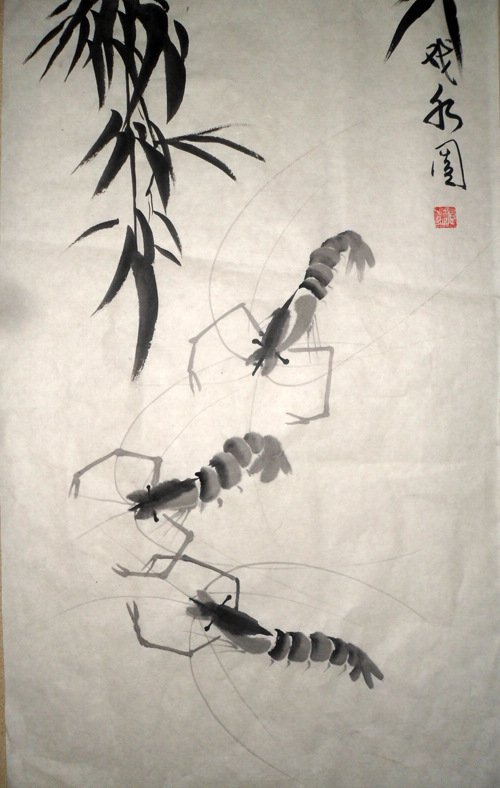 ..
Shrimp live in both fresh water and salt water. Shrimp is one of delicious food all over the world. Famous .. This entry was posted in Chinese Paintings and tagged animal, auspicious, Chinese Paintings, Chinese Zodiac, Fengshui meaning, tiger. Bookmark the permalink.